Whether you are buying to enjoy the fabulous lifestyle or aiming to achieve financial freedom through property investment, looking at the underpinning factors that influence these outcomes is paramount. Ellis Developments have retrospectively reviewed market trends and tracked the data surrounding population movement and historical property values to mitigate the variables. Each investor has different drivers: some are buying to house family members while others are looking to secure something that they may move into later down the track. However, one thing everyone is looking for is a profit in some way or another. It is an understanding of each individual investor’s strategy that allows us to present a solution that ticks all the boxes while also perfectly delivering on your key outcomes. Designing a new home for investment purposes may in fact demand a different set of criteria and guidelines to deliver the most cost effective returns, by maximising accommodation on the land parcel to increase returns and decrease garden maintenance issues. As we are one of the most active building firms in the local industry and highly pro-active when it comes to sourcing the most desirable blocks on the market, all client investors and owners alike enjoy our high levels of diligence when it comes to block selection. We cast our net wide, with every block on the market in Townsville reviewed for potential development. Sometimes investment opportunities are vastly more feasible in established suburbs than new estates. It is this uncompromising and strict set of KPI’s that we satisfy before any investment client is given an indication on where and what to plan. We are not driven by incentive from developers; we pass these on to our clients. We are driven by our clients, which means we partner with them for life. A far greater relationship. There has been a huge under supply of property across the last six years. As the population increases, the pressure on housing drives prices up. By closely looking at the market, we see the market is seeking and ensure that we are delivering properties that will have strong organic demand as they are the perfect fit for the population. Property is a predictable cycle based on supply and demand. As demand increases so do property values. 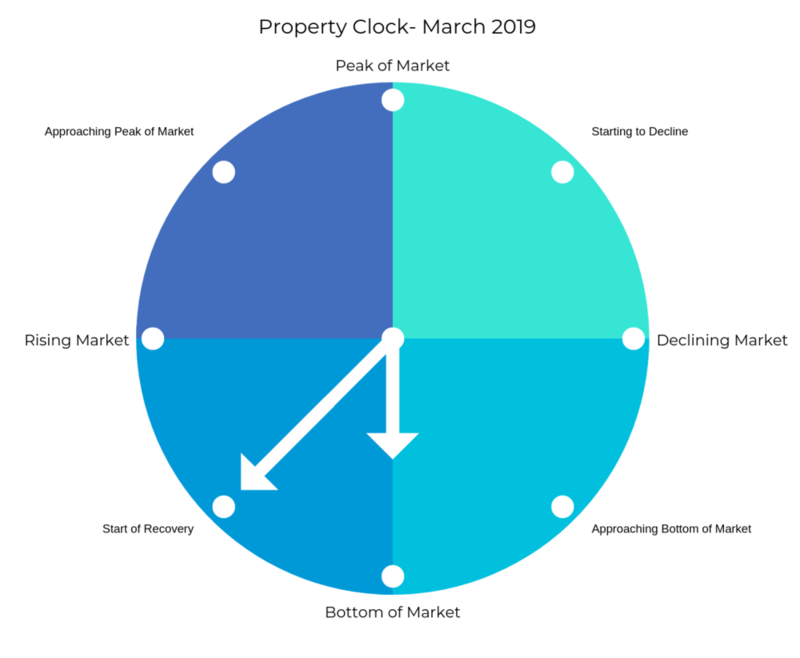 The property clock demonstrates there has never been a better time than now to buy property. Combined with the low interest rates, scope for growth is implied.